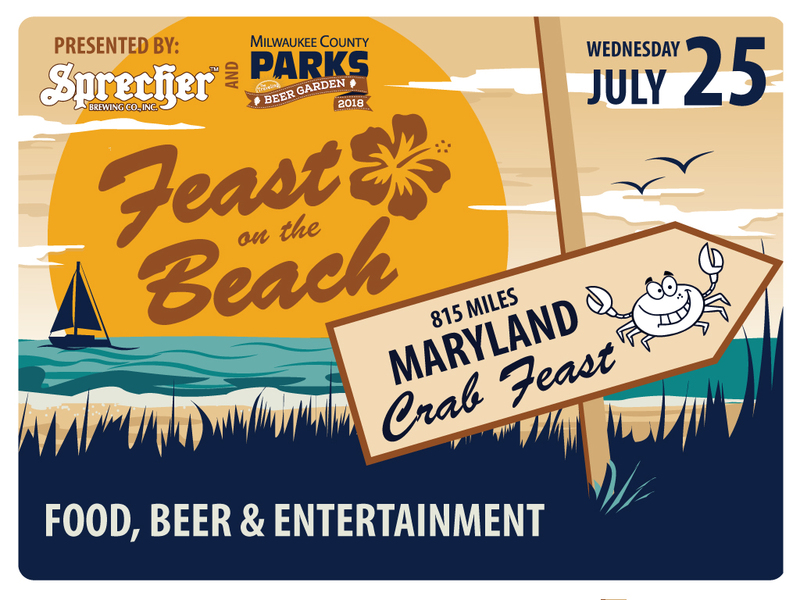 Sprecher Brewery and the Stilt House are bringing the food and beer, you need to bring your beach chair, blanket and flashlight and join us at Doctor’s Park this July 25th for an authentic beach feast. Put your toes in the sand as you feast on blue crabs, cornbread, corn on the cob, red potatoes, Kielbasa sausage. Your evening package includes two (2) pints of beer per person and entertainment by Jay Matthes (Surf Songs and Jimmy Buffet Tribute). Additional beverages available for purchase. Select Upcoming > Wed 25 Jul when you book it.